Here at St.Emlyn’s we are delighted and honored to spend time learning with our African colleagues in the #bad_EM team. If you’ve not met them yourself then you’ve missed out. They are an amazing team of bloggers, podcasters, clinicians and educators from Africa. They run the #bad_EM website and social media feeds that are #FOAMed sites with an African focus. This is really important as a lot of #FOAMed has developed in high income countries, and as a result the type of medicine described on many sites, and the applicability of that kind of medicine to a world wide population may be challenging to deliver in practice. There is a need and almost a responsibility for us to ensure that some sites have a focus on low and middle income countries too (LMIC), and the #bad_EM team have taken this responsibility on for their part of the world. However, this does not mean that their work is irrelevant to the high income countries, there is a huge amount to learn from our African friends. In many ways #bad_EM is a little like St.Emlyn’s. Enthusiastic, academic, clinical, multiprofessional, global and engaged clinicians who want to learn and share their knowledge with a worldwide audience. They even have a virtual hospital similar to St.Emlyn’s in Virchester or to Janos General in New York (run by Scott Weingart). You can find Ubuntu hospital on this link where cases relevant to Africa are discussed (and there are a fair few traveller cases there too). If you want an insight into African EM then this is a great place to start. This year I’ve been lucky enough to vist South Africa twice. Back in April I visited Katya Evans and Craig Wylie in Cape Town detailing the visit here. More recently I attended the EMSSA conference in Sun City which was an incredible experience, meeting many of the #bad_EM crew and linking up with many fantastic people from across the continent. Follow these links for more on our South African experiences..
Robert Lloyd’s experience in South Africa. Whilst in Sun CIty I caught up with Kat and Craig to talk about the background to #bad_EM and also to find out more about the amazing conference planned for next year just outside of Cape Town. 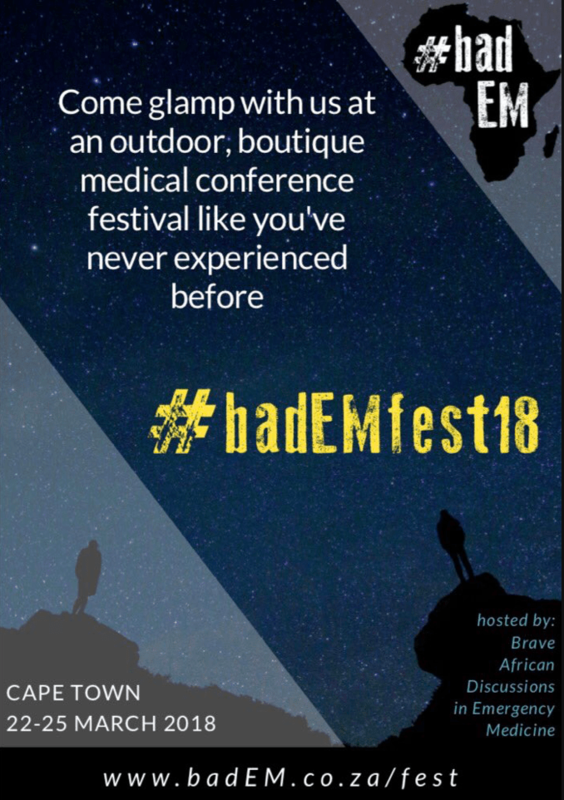 The #bad_EMfest18 will be a really interesting model for conferences where the emphasis is on shared learning, interpretation and knowledge translation in a beautiful setting, with good food, wine and company. I really like the idea of this. As we explain in the podcast below, the greatest driver to learning and change is through discussion and shared learning and the aim of the conference is to enhance this by encouraging delegates to come together in a less formal setting, but with strong educational activities based on small group work. I don’t think this has been done in EM before and I really like the idea (not to mention the fact that it is an amazing setting with wonderful people). If you want to know more then click on this link to get you to the website. You can hear more about the conference on the podcast and of course get in touch with anyone on the @bad__EM team for more information. 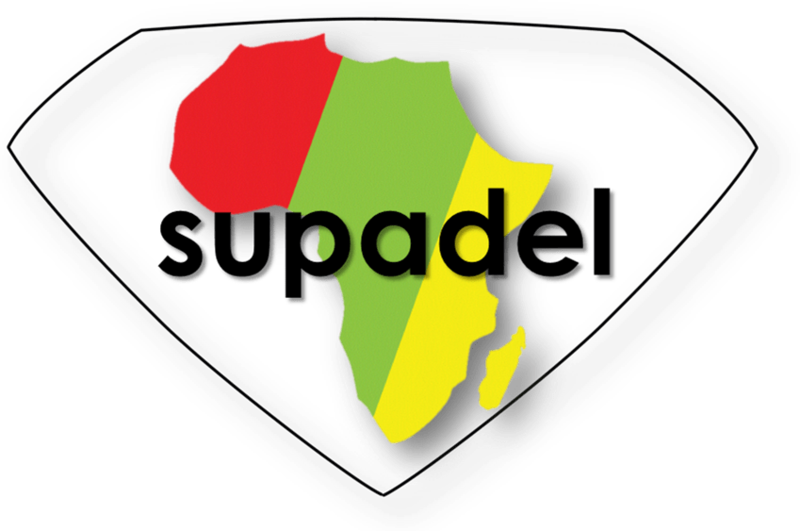 On the podcast we talked about the importance of getting local clinicians to conferences in Africa and the amazing work that Supadel have done in making this happen. We reviewed the Supadel site back in 2014 and I’m pleased to say that the St.Emlyn’s team and our friends in SMACC have supported the scheme since then. You’re spare cash can support a delegate to attend future conferences and I’d really encourage you to click over to the Supadel site now and make a donation. Will we see you in the Western Cape next year? We certainly hope so. The St.Emlyn’s team are frantically checking diaries and swapping shifts to make it happen. We hope you can too. DOI: None of the St.Emlyn’s team have any organisational or financial interests in the conference. We just think it’s a really great idea and that the #FOAMed community should support it.